Caring for small children and pets can get messy, yet having them around will make any house feel like home. For myself, I had spent most of my free time either chasing after the kids or cleaning up as they make more mess. I’m already used to the chaos; it’s just the cleaning part that’s difficult. It’s my little one’s soiled mattress and the carpet that has most tested my patience. I can easily make my house spotless yet it is the removal of urine smell that I find challenging. As time goes, I learned through cleaning trial and error what works and what isn’t. It turns out that help is just around the corner, or rather, under my kitchen cupboards. Let me share with you some nifty cleaning hacks on how I easily remove urine smell from any mattress. These two substances are cleaning and deodorizing powerhouse on their own. Mix them together and you can remove just about any nasty smell around the house. You don’t need expensive vinegar for this, just take note to use white or clear vinegar so that it will not add to the stain. Another prep tip will be to do cloth test first on an inconspicuous area of your mattress or carpet. Check if the vinegar solution will not remove the color or damage the surface. If the colors run (which is rarely the case), better seek professional cleaning or risk damaging your mattress surface. 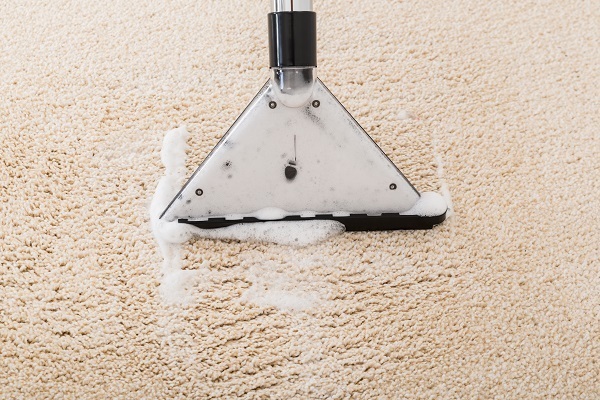 For carpet and mattress cleaning, initially, mix one part vinegar and one part water. Pour this solution into a spray bottle and shake. If the urine smell is too strong and resistant, you can also use pure vinegar. As for myself, I found out that the 50-50 combination of these two is already effective. A tablespoon of baking soda powder can also be added to this solution. It is wise to put on your chemical goggles to protect your eyes before you do this as it will definitely fizz. Your mixture’s effectiveness will depend on the severity of stain as well as material that your mattress is made of. You can experiment for yourself what combination and concentration work well. 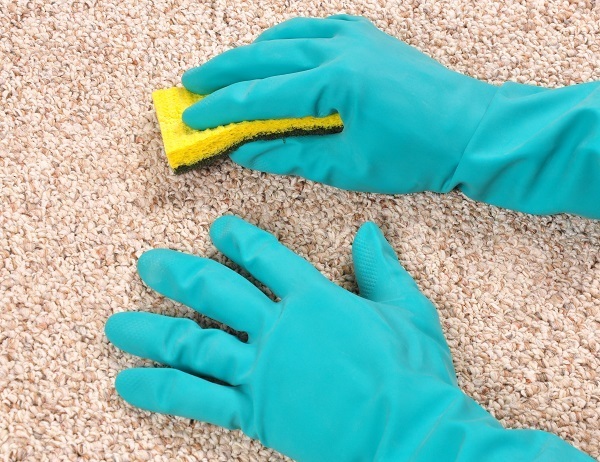 Spray the vinegar-water combination on top of the soiled mattress or carpet. If the urine is still fresh, blot it our thoroughly before you spray. Otherwise, just drench the solution liberally, until the area is fully saturated. Just a word of caution here: do not pour the solution as it will be harder for the surface to dry up after. Let it stay for 10-15 minutes. If the weather is sunny, you can also do this step outside. Put your mattress under the sun as it dries up. By this time, the mattress surface is already prepped and soaked. Blot out the liquid solution using a paper towel or clean washcloth. Apply some pressure to remove all the wetness. You can press it or put on top of it a heavy object to pull the liquid up. It is amazing how vinegar can neutralize odors; even if the smell had been there for years. Do not worry; your mattress will not permanently retain that vinegar-like smell. It will dissipate gradually in a few days. Sprinkle a heaping amount of baking soda powder on top of the soiled area. Spread it out and let the powder sit there for 30 minutes to one hour, or until such time that the baking soda has hardened and caked up. As it dries up, the baking soda will pull up and out all remaining vinegar and stale odors. 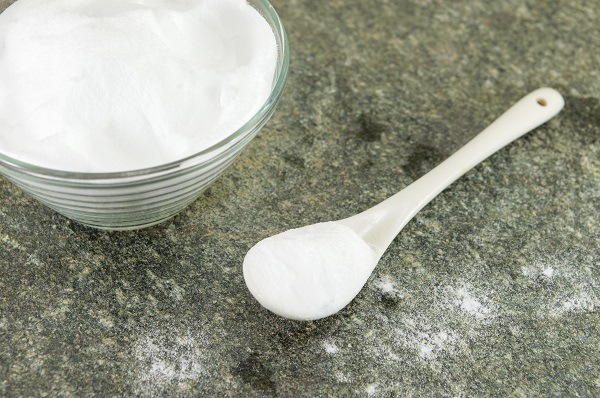 Once the baking soda powder has done its job, remove the hardened baking soda with a vacuum. Use the vacuum’s brush to clean up all residues and to brush up some faint stains that remained. It will be better if you can do all the steps above under the sun as its powerful rays can help hasten the deodorizing and drying process. If the weather is damp, you can also dry it indoors; just use the fan to circulate the air around the room. You can also use a hair dryer in place of the sun or fan. By this time, you will see that most stains and odors had been gone. If not, you can repeat the process all over again. Use more or less vinegar as you see fit. Too much rubbing can also damage the surface of your mattress and carpet so be gentle and patient. 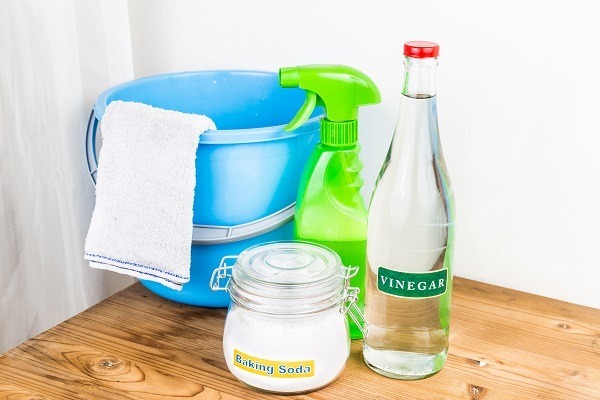 If you do not have vinegar on hand, you can also use 3% Hydrogen Peroxide as a substitute. The pure solution can be sprayed outright to the surface or you can also mix in water and a tablespoon of baking soda. Just follow the same sequence above and use the outdoor sunshine to dry up the surface faster. Hydrogen peroxide is also useful for blood stains, whether dried up or fresh spill. 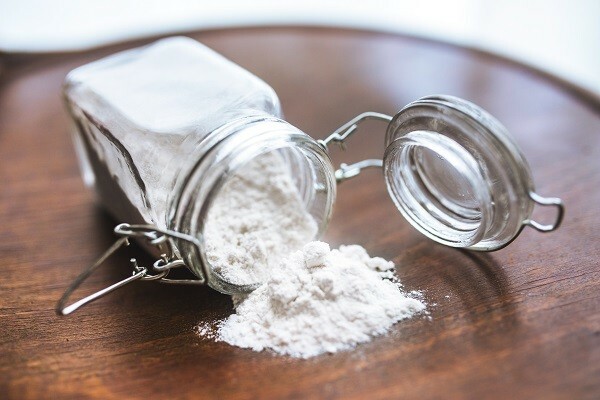 On a rare chance that you don’t have baking soda, you can also use medicated powder as a substitute. Just follow the same method as detailed above. This deodorizing substance can work just as well as baking soda, it also smells better. You can always seek professional cleaning or use expensive enzyme solutions to clean and deodorize your mattress or carpet. Yet why shell out a lot of money when you can also use natural substances that can be found around the house? You don’t need harsh chemicals, just use this gentler alternative. 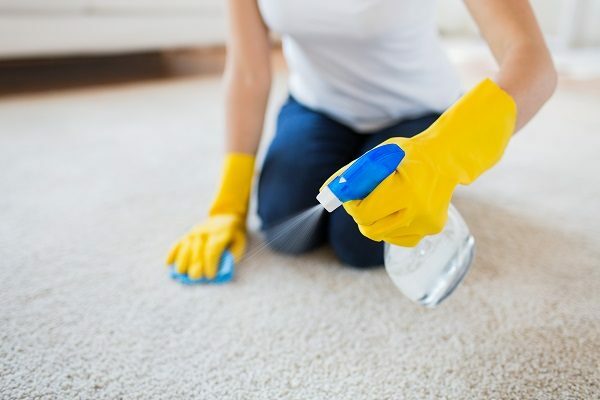 This green cleaning method will help you to save some money as well as keep your bedroom and house clean and smelling fresh. Types of Pacifiers: Everything You Need To Know!